If you just got your vehicle detailed or are planning to do so fixing curb rash is something you should know. Yes, the rims were/are expensive – but do not lose your head and go ballistic. Yes! the damaged rims may look a bit like a massive chunk of flagstone to you but there is very simple solution that have them looking good as new in no time. The best part about these tips on how to fix cub rash, is you can do this in a day in your garage – with materials that cost less than $50. Even better, if your car changes hands often or you have poor eyesight – or are just poor at parking, you could have wheel bands installed. It takes less than 40 minutes to install the bands and you can find them in colors that complement your set of rims. Assorted grades of sand paper including 80, 220 and 2500 grit. If you have some protective coating on the rims that needs to be removed before you start repairing, then the assorted grades sand paper is very important. 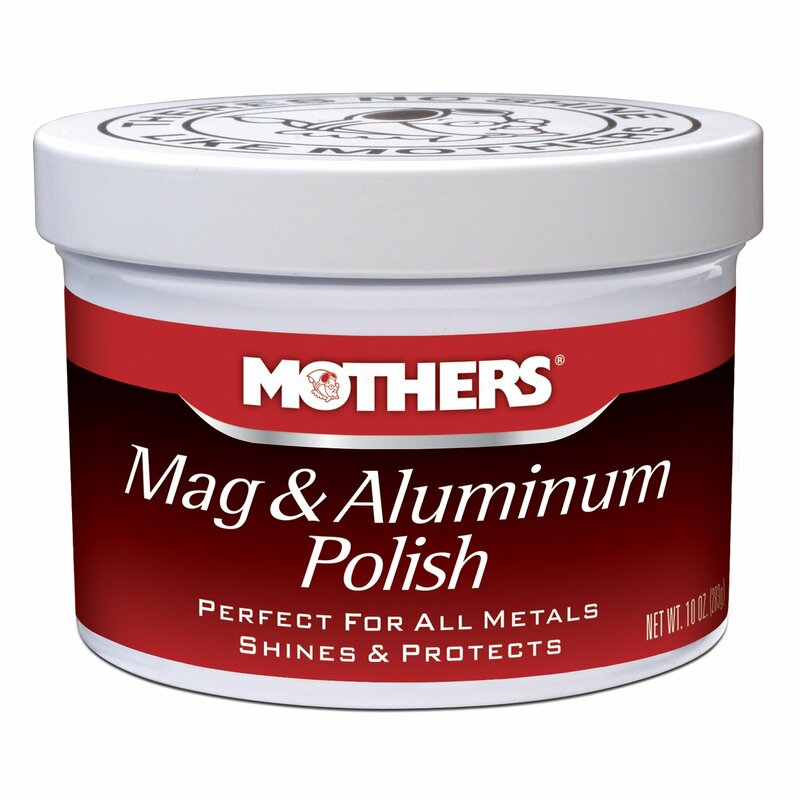 If you want a perfect result, the aluminum polish will be the perfect product for you. All preprocessed polish/compounds vary in performance. Ask around and identify the best polish for your needs before making a payment. It is very important to protect yourself when you do this work. Therefore, it is recommended to wear protective eyewear and stay away from hurting your eyes with the vapors from the spray. Some filtered water – useful for dampening the sand paper. To do this sand the damaged spot with 220 grade sand paper. If the dust from sanding has grayish color, you probably have protective coating on the rims that has to be removed before repair. If there is no coating, proceed to Step 3. Note this only applies if your rims have protective coating. Buff the entire rim using 220 grit sand paper. Ensure you work with firm strokes all round – once done you want to ensure the color is same all round for an attractive even finish. This refers to your primary problem area. You should begin with 80 grade sand paper gradually working your way up to 220 grade. This removes the scratches; smoothen this further by going over the spot with 400 grit sand paper. For the best finish, sand ½ an inch away from the damaged spot. Use angular strokes from the lip moving inward and remove any remaining ridges. Wipe off the fine dust every few strokes with cloth. By now the time you reach this step your work is almost done. This is the final step and it deserves all your attention and time. Use very fine 2000 grit sand paper – use light pressure and circular motions; always wiping the spot with cloth. Here is where you dampen the sand paper and work around the spot in circular strokes for about 5 minutes. Finally use dry 2500 grit sand paper over the spot for 2 minutes; go over the spot again for 1 minute with dry paper; a further 1 minute with set sanding; wipe the spot with a damp cloth and finish up with a dry cloth to remove dust and moisture. The time spent on this stage of rim restoration depends on the severity of curb rash. Scoop a decent amount of polish and work it into the area with cloth. It is recommended you work an 1/8” beyond the sanded area to allow the polish blend with the protective coating. Apply plenty of pressure when applying polish – until the cloth turns blackish. Once done fold the cloth and buff with a clean section until the rim regains its lustrous glean. Throughout the process, you are advised to wear protective eyewear and ensure the polish does not come into contact with the tire throughout. The chemicals in the polish can weaken the rubber and adversely affect the longevity of your tires. While chrome rims are expensive, you could just have the super tough wire bands installed over the lip of your rims. This tough plastic cover acts like car bumper and will absorb much of the impact keeping rims free from scratches and lees prone to bends – essential protection from curb rash. 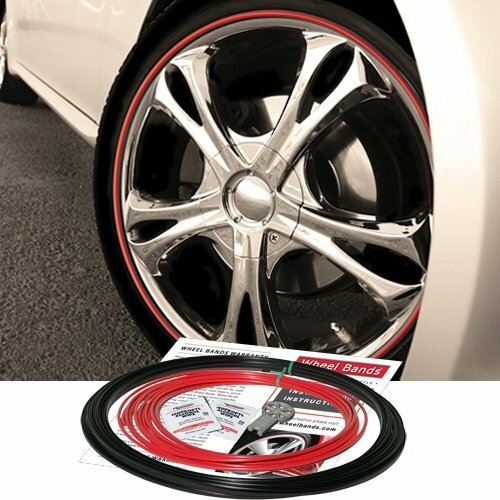 The wire bands can be customized for all rims – and you can have these easily and cheaply installed on all your vehicles. Installation takes under 40 minutes and will ensure your rims are always safe from parking blunders. You get to add some color and only replace the band when the damage renders it useless or makes the rim begin looking unsightly. While the above steps have been repeated by countless vehicle owners to restore scratched rims, they will probably not help fix bends. For that degree of damage it is advisable to have the restoration done have the restoration done by a trained auto mechanic. The reason being, bent rims are a lot more harmful than you may have realized. They not only leave you tire more exposed to the risk of punctures, they affect the wear of all tires. For the above reason, it is advisable to have your car wheel alignment checked after finishing rim restoration with the above procedure. Having the alignment done will reveal any underlying problems and save you time and money you would otherwise have spent on new tires soon after the restoration is done. How To Fix Reduced Engine Power: Can It Be Done Without A Mechanic?